Thank you for taking the time to write this informative post. Can you tell me where to purchase it? I live in a relatively small town and wondered if Earth Fare sells it? I'm ready to get eating healthy again after this week, and this would certainly help cut the sugar. Happy New Year! Wow! I've never head of this company before, but I'm all about using the closest to nature product as possible! I absolutely LOVE agave nector! I'd love to try their agava syrups! Oh that sounds DELICIOUS! So glad you signed up on VB Members to remember! 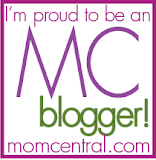 I haven't seen your blog before, now following via GFC, Facebook, twitter, etc! :) Oh and I entered your giveaway too! This is amazing! Starting up the HCG again, so this would be great! And I'd prefer the stevia... My mom is huge into agave syrup (she even carries a bottle with her wherever she goes), so maybe I should succumb and try it. I LOVE chocolate chip cookies with walnuts in them - my favourite! Thanks for sharing this information - I buy several Fair Trade products and have been really happy with them. The vanilla agave syrup sounds good!